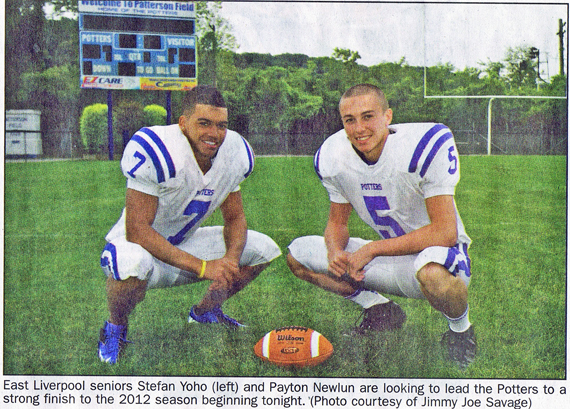 The 2012 Potter Football team ended the season with a 4-6 record. They were 4-1 at home. They finished the season with a 3 game winning streak. Row 1 Frank Dawson, "World's Oldest Football Manager", Brent Waggle, Jullian Cowart, Devonta' Oates, Payton Newiun, D. J. Austin, Stefan Yoho, Kade Reynolds, Marc Douglas, Kaleb Tallent, Michael Oates. Row 3 Tyler McComas, John Richerd, Tim Sarge, Kris Bailey, John Miscuk, Justin Barr, Corey Monterio, Jimmy Lisk, Dalton Brewer, Luke Bowers. Row 4 Andrew Durk, Sam Persutti, Josh Woolley,Charles Lacobucci, Cole Hamilton. Nick O'Hanlon, Dalton Cornman, Anthony Ice, Austin Morris, Chad Reed. Row 5 Nate Robinson*, Eddie Roberts, Ryan McHenry, Brandyn Emler, Queyshawn Sallis, Jared Yanik, Deven Adams, Roger Lawson. 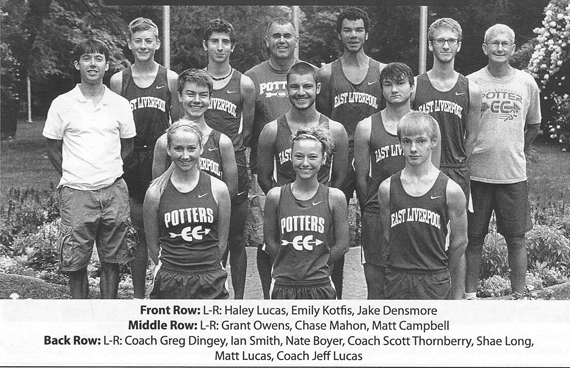 Row 6 Coach Eric McMahon, Chris Russell, Jacob Michael, Ben Adams, Jacob Buckel, Trainer Sarah Albaugh, Jason Kutzner, Bobby Hill, Trevin Whitson, Nate Miller**, Coach Bill POtts. Row 7 Jim Olmstead, Rick Davis, Carl Congo, Jason Duke, Head Coach Rick Prescott, Josh Ludwig, Jim Arcuragi, Dylan Stickler, Bill Bailey. * Webmaster: the names are based on the roster in the 2012 Band/Football Program and pictures in the same program. However, there appears to be some problems with that. The Program lists Jimmy Beaver as #55, yet there is no #55 in the group team picture. In another case #67 on the roster is listed as Nate Robinson, but two different pictures in the program contradict that. One picture "Seniors" lists #67 as being Jimmy Beaver while another picture "Kickers & Punters" along with the team group picture lists the same person as Nate Robinson. We think that maybe Jimmy Beaver actually wore #65 jersey in games but that Jersey is shown on Justin Barr in the "Kickers & Punters" group picture and no #65 in the team group picture at all. In the team group picture Justin Barr is shown wearing #46. **Nate Miller is listed as #84 on the team roster in the Program, but in the team group picture and in pictures in the program he is shown wearing #88 jersey. In fact both he and Tevin Whitson are both shown wearing # 88 in the team group picture. In the team group picture. On the roster #83 is listed as Devin Earich but there is no #83 in the team Group picture. If anyone would be so kind as to straighten this out for us we would greatly appreciate it. The boys deserve to be properly recognized and identified. Thank you. 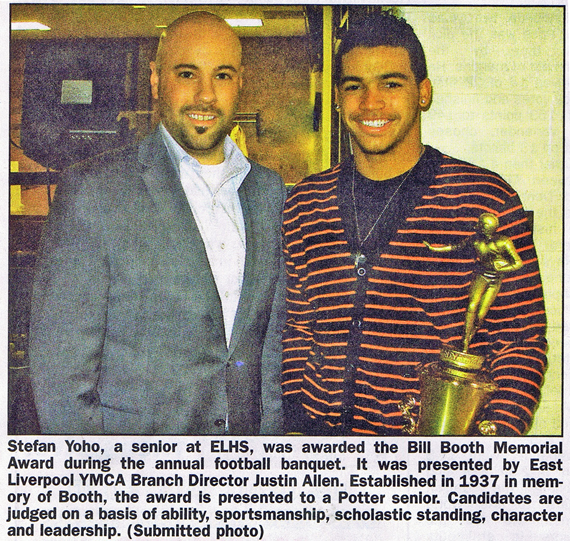 Stefan Yoho had 918 yards and 14 touchdowns on 193 carries. McComas ended the season with 84 tackles, 14 tackles for loss, 2.5 sacks and two forced fumbles. Newlun had 45 tackles. Courtesy Aaron Petchal, The Review, Tuesday, November, 14, 2012. 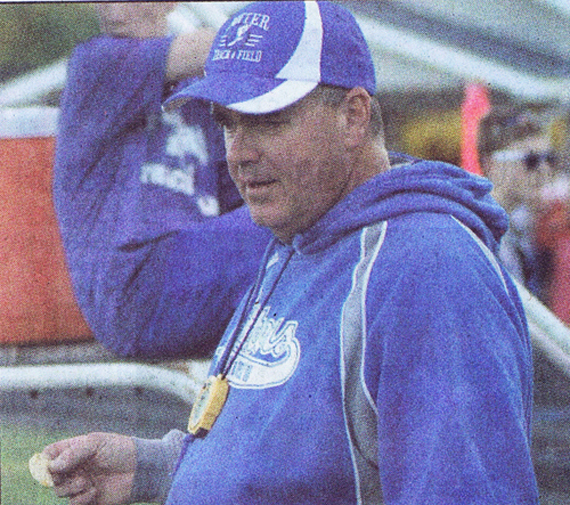 The potters under Head Coach Bob Shansky had another successful season finishing 13-9. The Potters advanced to the OVAC 4A Tournament where they lost this year after winning that game last season. East Liverpool lost to Meadowbrook in the Ohio Division II Eastern District Sectional Quarterfinal to end their 2012 season. Jordyn Adkins #2, Kylie Gordan #3. Lady Potter on bottom right may be #6, Morgan Campell. 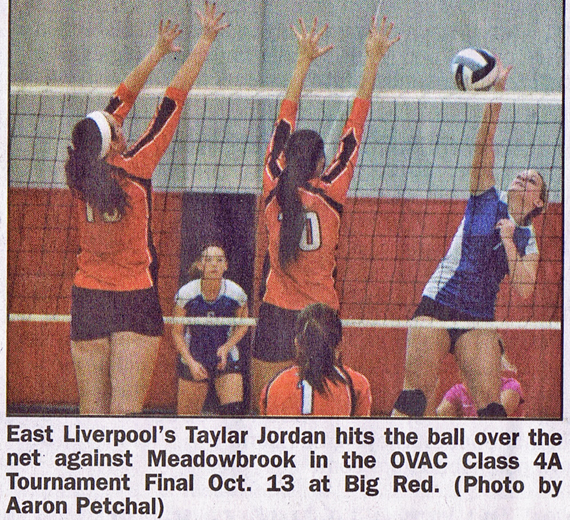 Morgan Campbell and Taylar Jordan were selected to represent the Potters in the OVAC all-star match. Courtesy Aaron Petchal, Locals to play in all-star match. The Review, Tuesday, November, 13, 2012. 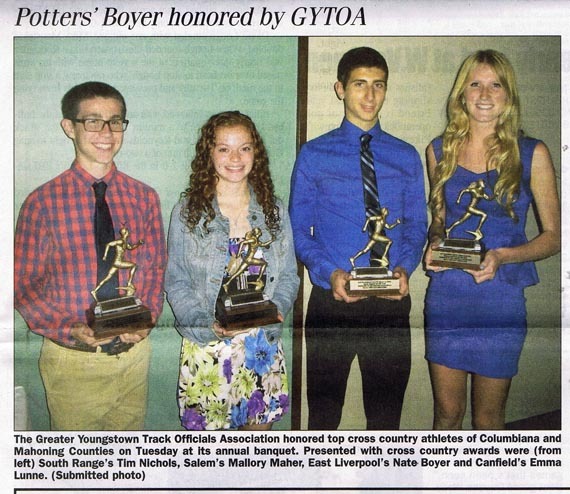 Nate Boyer, Historical Society file photo from track meet Spring 2012. 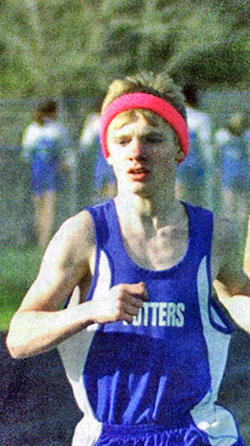 Jake Densmore, Historical Society file photo from track meet Spring 2012. Submitted picutre to The Review.